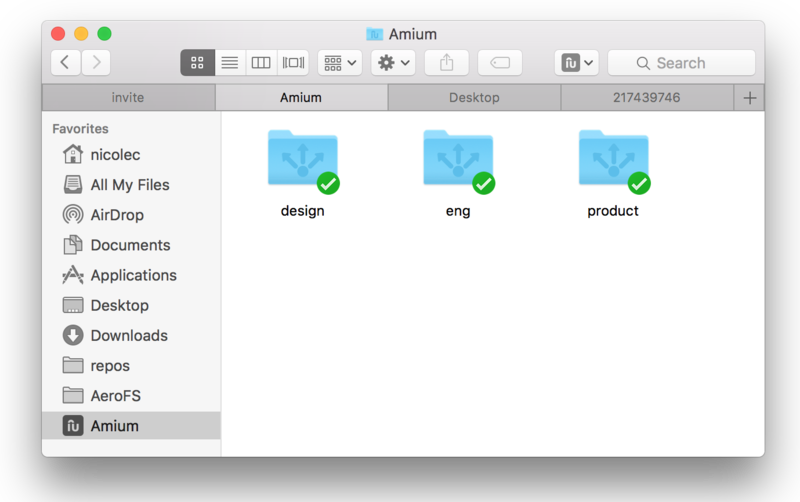 Your Amium folder stores the files added to your projects. Each project has a corresponding project folder. Any changes to the files will sync to your project folder in the Amium directory. If you want a file to be available in your Amium folder, be sure to add the file to your project rather than attaching the file. Attaching the file will only appear in the conversation for quick previewing and downloading. Right-clicking a file or folder under the Amium directory gives you an option to generate a link to share the content with non-Amium users. The link will be copied to your clipboard, and enables the recipient to view and download the content.